← #Blackout505 rally: Auntie Bersih, Adam Adli, Chegubard and others found guilty. Remember The housewife with a 2 year-old child and a 2-kg Milo packet = a day’s jail and a RM200 fine! 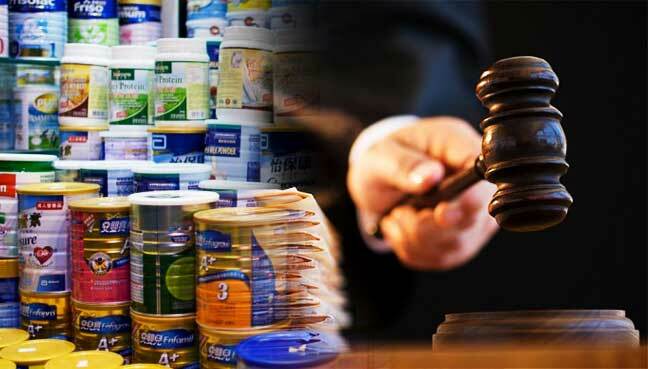 KUALA LUMPUR, May 31 — A mother of two children was sentenced to four days jail by the Magistrate’s Court here today after pleading guilty to stealing various items including milk powder at a shopping complex. Magistrate Mohd Rehan Mohd Aris sentenced Norlelawati Ibrahim, 28 who pleaded guilty to shoplifting 12 items worth RM462.96 including milk powder at Aeon Mid Valley, here at 10.15pm on May 28. The court ordered the housewife to serve the sentence from the date of her arrest on May 28. This entry was posted in Uncategorized and tagged crime in malaysia, malaysia, milk powder thief gets 4 days in jail, milo thief gets 1 day in jail and RM200 fine. Bookmark the permalink.